What's Your True Calling ? I respect your privacy 100%! I hate SPAM as much as you and promise to never sell, rent or disclose your private name and email to a third party. 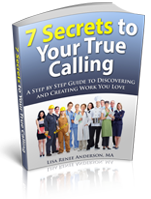 Be sure to check your email and confirm this subscription in order to get your copy of 7 Secrets to Your True Calling. You may unsubscribe at any time. 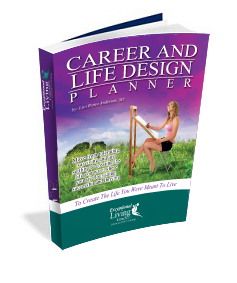 To receive the full benefit of this workbook use it in conjunction with a coaching program. Anyone who signs up for a 3-month coaching program with me will receive this workbook as my gift to you. 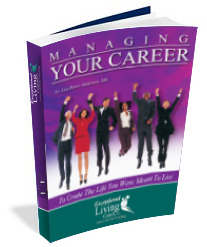 Managing Your Career” is a course that is designed to enable you to take a look at where you are now and where you want to be with your career. Maybe you are not happy with what you are currently doing? Maybe you want something else but don’t know what that “Something Else” actually is? This course includes a number of exercises and assignments that will enable you to answer all of your questions and teach you all you need to know in order for your to rediscover your best career! There is also sections on resumes, interviewing, negotiating and much more to help you land that perfect job! 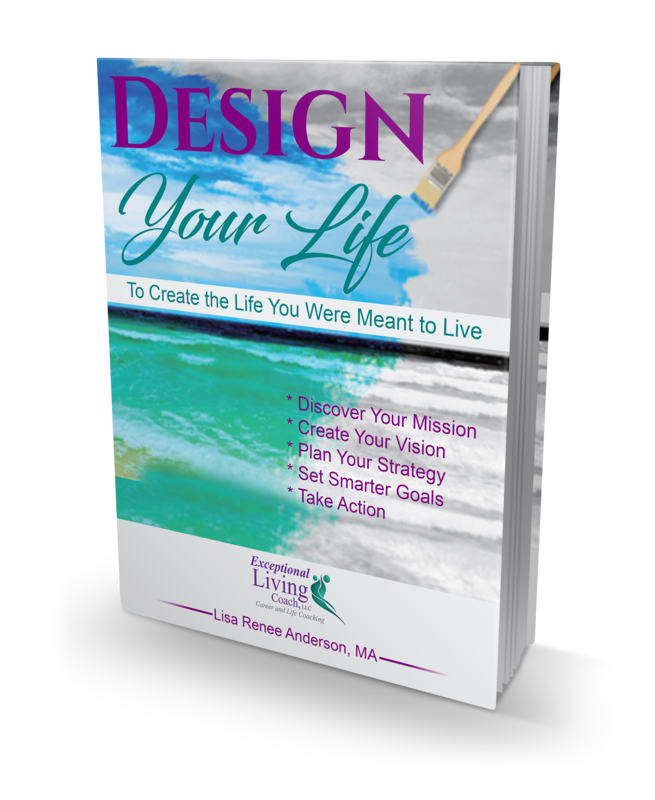 This free workbook will guide you through where you are now in your life, where you want to be and how to get there in eight different areas. I’m Career and Life Coach Lisa Renee Anderson and I look forward to hearing from you. © 2012 - 2017 Exceptional Living Coach, LCC All Rights Reserved.